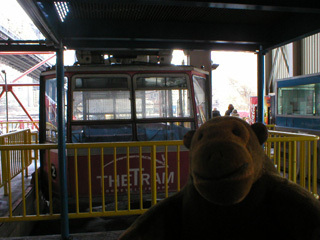 After Mr Monkey waited at the tram stop for a while, a cable car arrived. 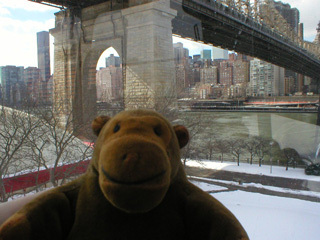 Mr Monkey scampered on board. More people joined him, and, after a while, the tram operator pressed a few buttons and the car started climbing upwards to the level of the bridge.